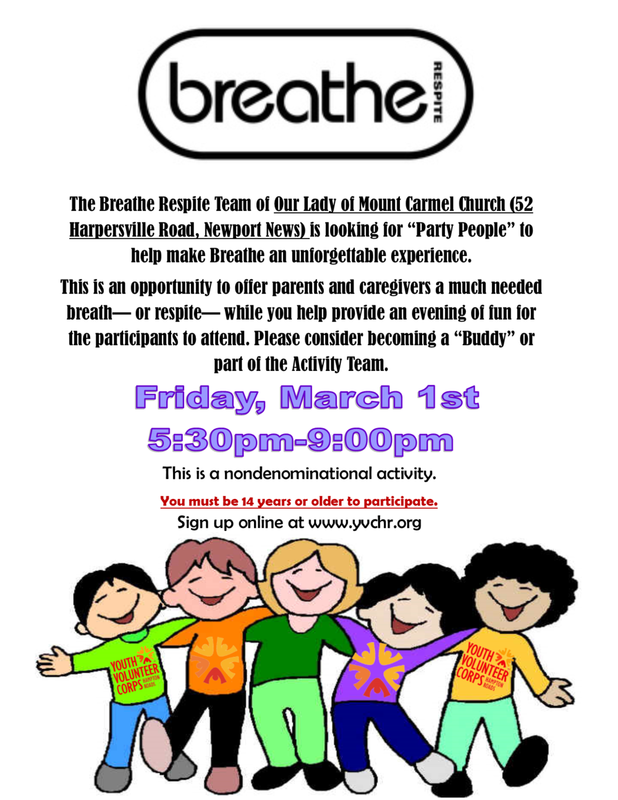 We are looking for youth volunteers that want to help those with special needs have a wonderfully fun night while giving their caregivers a night of respite. A training video is available to those that sign up. MUST BE 14 YEARS OR OLDER TO PARTICIPATE.